The Basque Energy Cluster participated in the WindEurope Hamburg Expo 2018, the most important event of the year for the international wind power sector, from 25th to 28th September. ELBE project was present at the stand of the Basque Energy Cluster and an information booklet was distributed among the attendants to the exhibition. 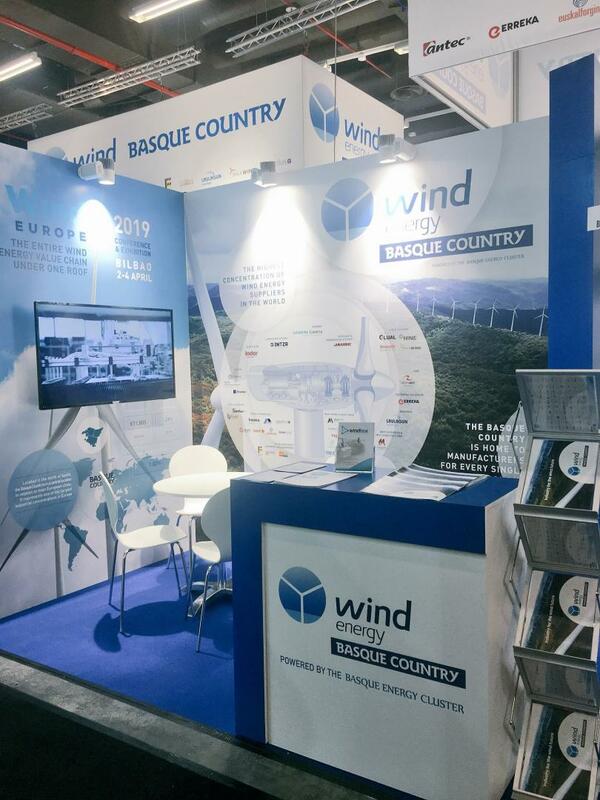 This edition is the prelude to WindEurope Bilbao, which will be held from 2nd to 4th April 2019 at the BEC and which will turn the city into the wind power world capital next year. The "Wind Energy Basque Country" joint stand grouped together the technological and industrial capacities of 12 first rate Basque companies, forming the Basque pavilion comprising the following exhibiting companies: ANTEC, ERREKA, EUSKALFORGING, GLUAL, HAIZEA WIND, HINE, IRIZAR FORGE, KIMUA GROUP, LAULAGUN BEARINGS, MAXWIND, NAUTILUS andWINDBOX. The Basque Energy Cluster was in charge of the stand and had its own space to promote the capacities of the Basque wind power's value chain and also the European capacities of ELBE Alliance on this key sector of the project. It was also a new opportunity to announce the three Networking Events that will take place in Octobrer 2018 and February and May 2019, in Scotland, Blegium and Sweden. These events will gather the most relevant supply chain in Europe focused on the Blue Energy sector.